My curiosity about the complexity of human existence has been let me passionately to create an enormous network of relationships with various level of visual language from a common nucleus. Visual world has been complex, chaotic, shifting and decentered since I was a young perceiver, living inside an enormous yet crowded traditional Minnan House with seven other families, growing up with an acute sense of dislocation, disorientation, and divided identity. In my current process, polyphonic multiplicity of dense details, allegorical forms, art history quotations, Aristotle elements are woven into a rigorous, multifaceted structure. Enormous mass of material come and go in the studio, but it is the sensation who gives the work its plot. The world brought into being by both discovery and creation, with the sense of walking the tightrope between visual dynamics and pandemonium. The Hidden Dimension and Other Observations No. 102, 2016-2017; ink on paper; 96”x85”. The Hidden Dimension and Other Observations No. 135, 2016; ink on paper; 80” x 120”. Entanglement: Trial 4, 2016-2017; ink on paper; 110x120 in. Entanglement: Trial 0, 2016-2017; ink on paper; 48 x 36 in. The Hidden Dimension and Other observations No.159, 2017, Ink on paper, 60"x83"
The Hidden Dimension and Other Observations No. 155, 2017; ink on paper; 48 x 36 in. The Hidden Dimension and Other Observations No. 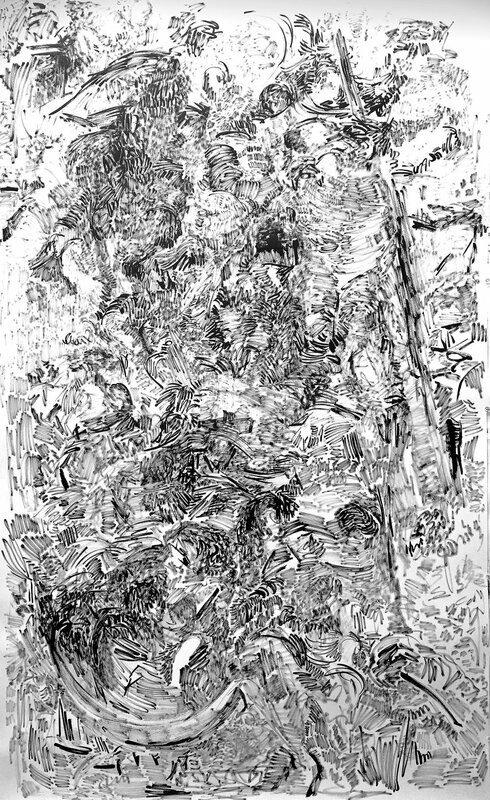 134, 2016-2017; ink on paper; 48x96 in. The Hidden Dimension and Other observations No.158, 2017, Ink on paper, 60"x84"
The Hidden Dimension and Other observations No.171, 2016, Ink on paper, 48"x18”"
The Hidden Dimension and Other Observations No. 133, 2016-2017; ink on paper; 60x96 in. The Hidden Dimension and Other Observations No. 129, 2016; ink on paper; 60 x 30 in. 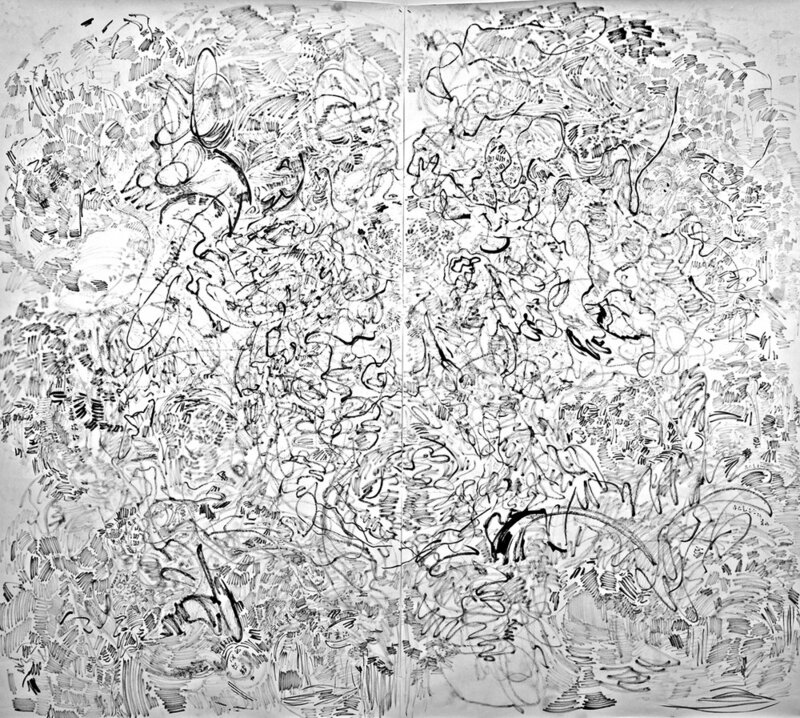 The Hidden Dimension and Other observations No.109, 2016, Ink on paper, 48"x115"